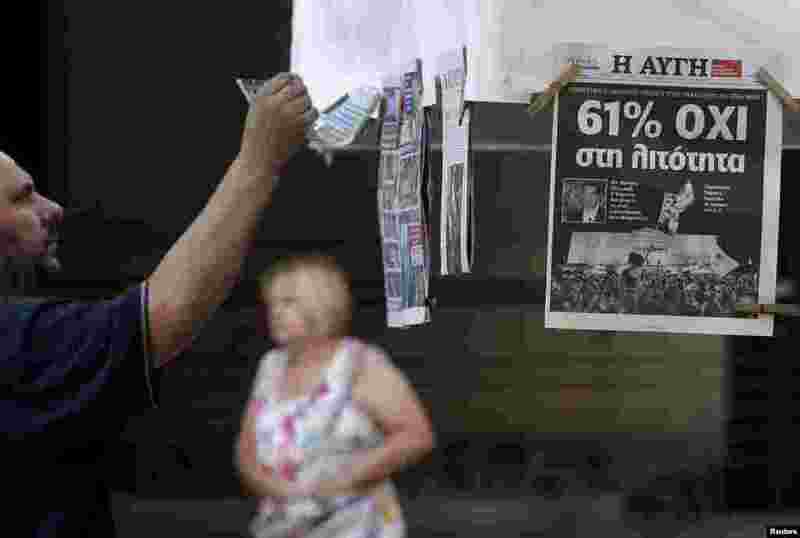 1 A man looks at newspapers showing the results of yesterday's referendum in central Athens, Greece, July 6, 2015. 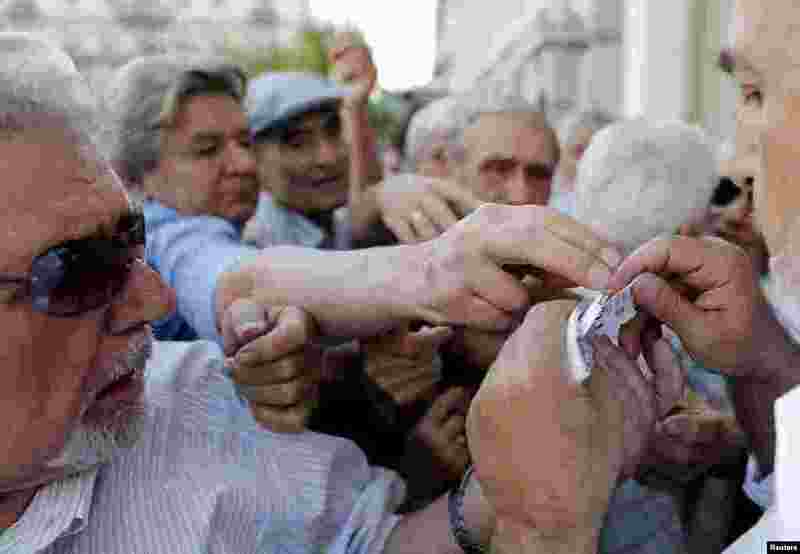 2 Pensioners are given priority tickets as they wait to receive part of their pensions at a National Bank branch in Athens, Greece, July 6, 2015. 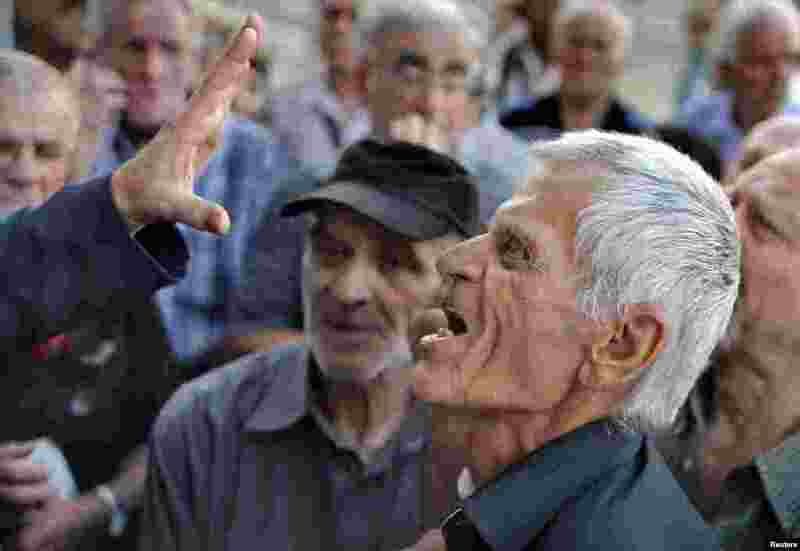 3 A pensioner argues with an official as he tries to enter a National Bank branch to receive part of his pension in Athens, Greece, July 6, 2015. 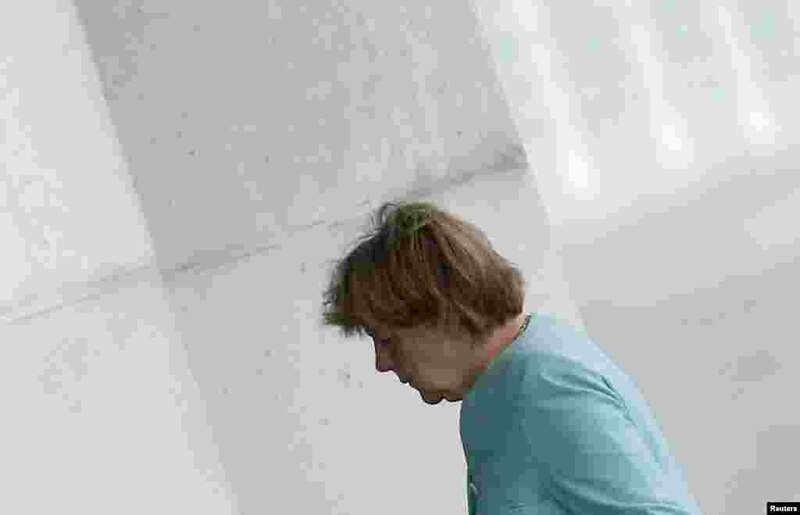 4 German Chancellor Angela Merkel arrives at the Chancellery in Berlin, Germany. France and Germany called for an emergency summit of euro zone leaders to discuss Greece's stunning referendum vote on Sunday to reject bailout terms, July 6, 2015.